No matter how you look at it, travelling can take a lot of time and preparation to organise and plan. While spontaneous travel works well for some, most of us prefer a little more pre-planning before embarking on our next big adventure. This leaves you with two main options: organising everything yourself or going with the benefits of guided tours. When planning a trip, you can of course rely on professionals to assist. That’s what travel agents are for, so even the independent travel planning option comes with a few extra tools in the kitty. But with independent travel, you need to have everything organised from flights to accommodation, transfers and excursions. 1.3 Which Should You Choose? 1.4 What Type of Travel Do We Prefer? There is a lot to consider and each segment of your trip comes at a separate price. This can be a little daunting watching the totals add up. So what’s the alternative? The benefits of guided tours on the other hand have the majority of your travel components all packaged up already. Your accommodation and transfers are usually included, along with a lot of meals and sight-seeing. While not all, some do include flights and all the extra excursions and entry fees also. There are guided tours to suit different budgets, from basic backpacker style tours to the luxury 5-star resorts and all inclusive guided tours. Plus you know right from the start how much your tour costs, which makes it easier to budget than DIY travel planning. Guided tours are perfect for newbie travellers, who are not sure where to start or what they need to arrange at their destination. It can also be a great way for solo travellers who want the added comfort of a tour group while they travel. You can make some great friends on tours. Cruises are a form of guided tours – we’ve taken a couple. But there are downfalls also. While guided tours give you a great opportunity to see lots of countries and attractions over a short period of time, it’s usually just those must-see attractions that you have time for. Unless you are going for longer guided tours, you are lucky to get 1-3 days maximum at each stop. This means you miss a lot of the lesser known wonders, or maybe don’t even have time for all the well known ones. Guided tours can also be exhausting when they are constantly on the go, with no significant breaks along the way. Early mornings, late nights and days that are packed full of sights to see and things to do. You almost need to go home for a holiday, compared to slow travel. 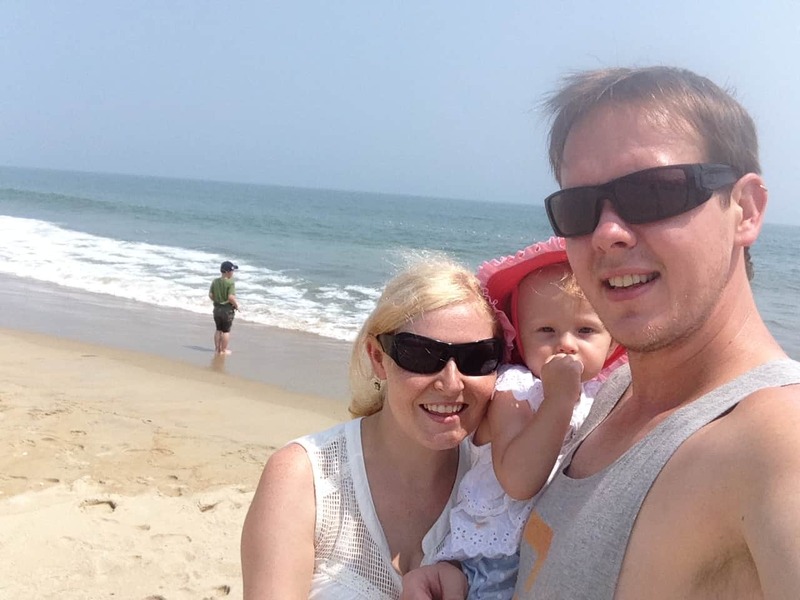 We will always choose independent travel in Poland since Simon is fluent in the language. Work out your main goals for your travel and go from there. If you aim is to see lots with the convenience of most things being taken care of for you, guided tours are your best travel option. They are a great option for shorter holidays where you want to cram a lot in without having to worry about how to get from A to B every day. They usually incorporate a tour that takes you from one stop to the next and accommodation is typically centrally located near food, shopping and attractions. But if you want to take your time, with the ability to be a little flexible and spontaneous on your holiday, or if you enjoy the process of planning your own holiday, independent travel planning is a great option for you. What Type of Travel Do We Prefer? 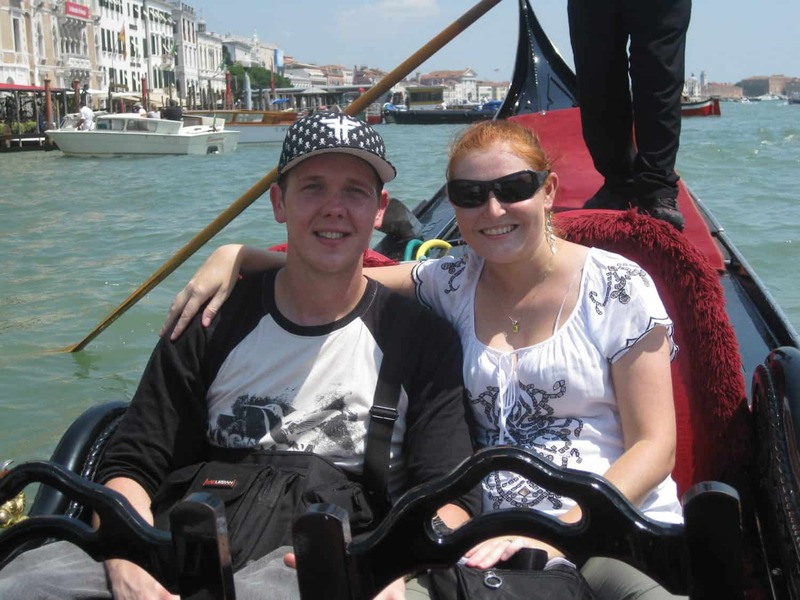 We have experienced the benefits of guided tours and independent travel planning over the years. It has all depended on our destination and time frames. Our first trip was a collaborative trip planned with family, through Poland, Germany and France. We had plenty of time to explore, with no set schedules and lots of down time when we needed it. For our next trip to Europe though, we wanted to see lots with only 3 weeks to spare so we did a guided tour through Europe and visited around 7 countries in that time with a couple of days on either end to do as we pleased in London. This was a great convenience and we made some friends along the way in our tour group. It was perfect for us at the time! It was also before kids, so this is another factor to consider. 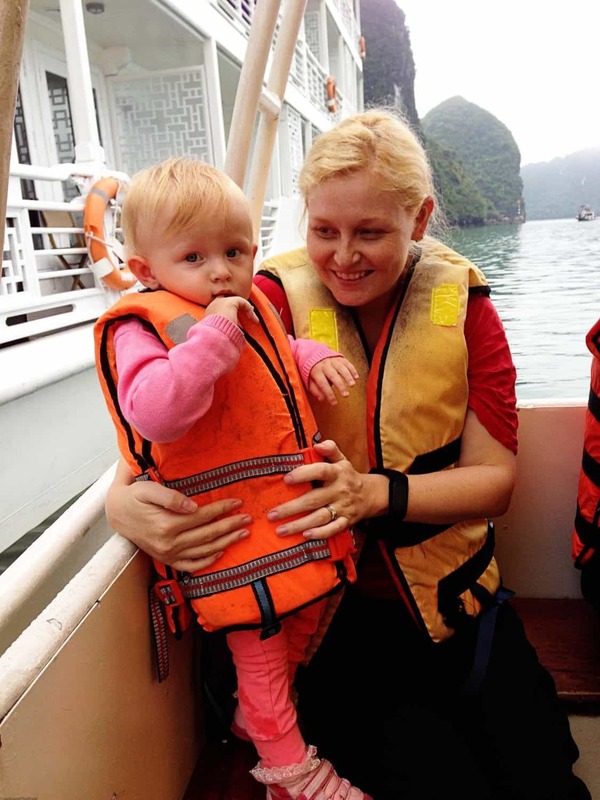 A lot of guided tour companies are for adults only or have an age cut off for younger kids, so they may not be a suitable option for family travel at all. The majority of our trips have been planned ourselves, with some mini guided tours or day trips added in, which means we have been able to see more in areas we are unfamiliar with, or keep our costs down by having it packaged up. But family travel definitely means having some down time and slow travel opportunities. Sometimes you just need an afternoon nap or a day off sightseeing, therefore there a benefits of guided tours and independent travel, depending on your needs! Do you prefer guided tours or independent travel? Great topic. I’ve done four group travel tours over the years and they were all wildly different experiences. The first was 20 years ago – my first solo overseas trip and I joined an under 35s Trek America 30 day tour from LA to New York. There were only 14 people but because we were together 24 hours a day, and we were heavily divided between the party people and the bed at 7pm people, there was some major conflict! I ended up going AWOL from the tour with two other adventurers and we rejoined the group about a week later in Chicago cos we really wanted that ride to New York… The next was an Intrepid tour in from Delhi to Kathmandu. We decided to do an organised tour because we thought, for the reasons you mention above, the best way to see what we wanted to see in a short period of time (2 weeks). That’s a much better time frame for a tour group. 2 weeks max. I don’t recommend a 30 day tour. The tour was pretty good and it wasn’t too fast-paced. We had plenty of down time. It was nice to not have to think about where to go, where to buy tickets, are we being ripped off etc. The next organised tour was a spontaneous trip to Cambodia when we were back in Korea for a while. It was a last minute (ie we booked 2 or 3 days before departure), very cheap 3 night, 4 day tour of Siam Reap. The tour guide and fellow tourists were all Korean and a part of me thought it would be hell on earth but it was absolutely brilliant. My husband is Korean, so he was able to translate for me. We saw so much in those few short days and there were only about 10 people on the tour. I think it would’ve taken me about 2 weeks to take in all those sights on my own. It was pretty funny queuing with all the other Koreans and raising the eyebrows of the ticket attendees thinking I was trying to scam my way in. LOL. The last one we did was a five day adventure in Peru that did lots of fun things – mountain biking downhill a few thousand metres (wheeee! ), white water rafting, zip lining, and a three day hike to Machu Picchu. There were only four of us. It was brilliant. I’ve done a lot of independent travel as well and ultimately it comes down to the destination, my confidence level (e.g. how confident I feel about communicating with people in a foreign language, the level of perceived danger, the chance of being ripped off) and how much I want to see and how much time I have available. Thanks for sharing your experiences. You have definitely had a variety of them with guided tour. Like you said, confidence level is a massive factor for choosing the guided tours. Some destinations, I think it would always be a preferred choice, or to do an express trip. But most destinations we are happy to discover solo or with a mini day trip type tour here or there to make it hassle free and easy. With so many places to go, a mix of the two is helpful! My first trip to europe i went on a tour and did not like the experience of spending 75% of it on a bus. I agree Mark, tours and kids don’t mix too well unless it is designed with kids in mind, which they rarely are. Our kids would have been so bored on the European tour we did with all that bus time (well the toddler would… The other one is still small enough to sleep half the day). I was bored! Lol but I don’t travel well on buses. The option is good for solo travel or going to places that may be a little less safe/difficult, but most destinations are easy to get around independently. Cruises are a slight exception I would make but the also make it easier to pick and choose activities a little more too. But still limited to that on shore time limit, which isn’t often long enough! We haven’t gone on too many trips but we have used a travel agent for the ones we have gone on and we have always found it to be beneficial. I always use a travel agent to book vacation resorts and hotels. They really can offer you the best price and it make planning less stressful. I plan on taking a cruise soon so will be looking for their help again then.